These Bergerault four octave vibraphones are massive! Even though vibe notes are made from aluminium, that doesn’t make them light, in fact the opposite is the case. 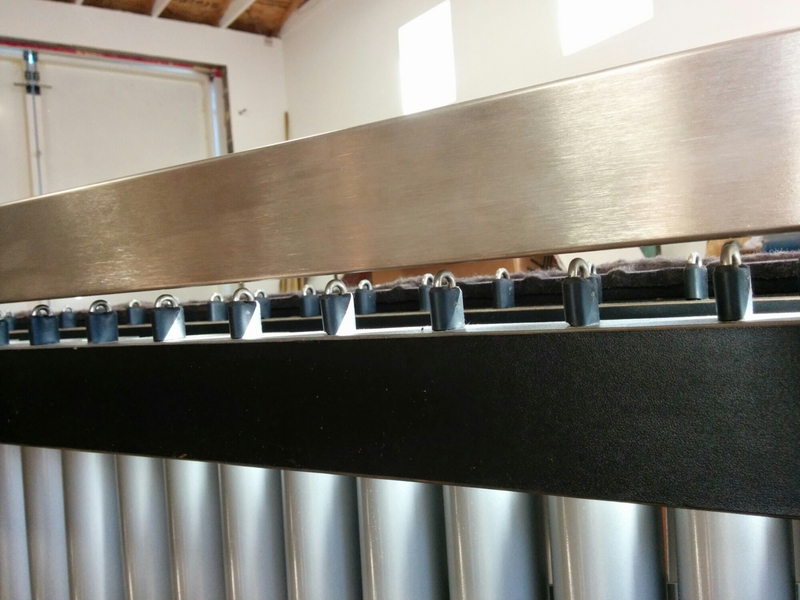 Percussion instruments are heavy, but vibraphones are particularly so. 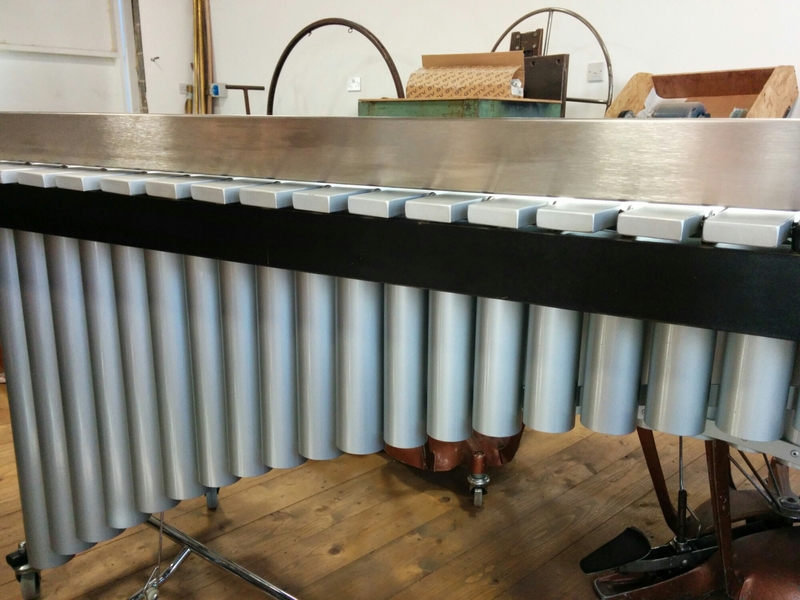 The reason for this vibraphone coming into my workshop was because the butterflies in the resonators were hitting the underside of the note bars. When I went to collect it, I spotted the probably cause, and verified it with my straight edge once back at base. Because the vibraphone is so big, it is hard to get it all in the photo and still see the issue when the notes are on, but after I have removed the notes it can be clearly seen that the instrument sags in the middle. 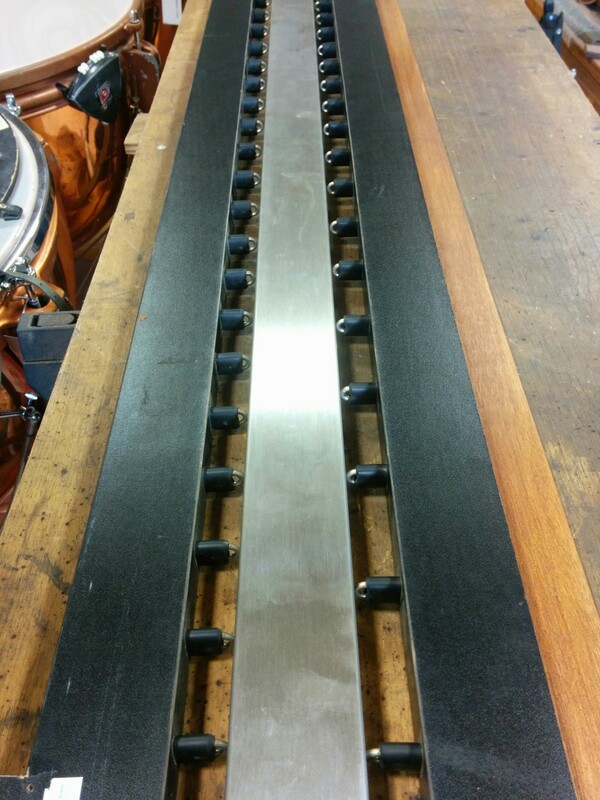 The little blocks that Bergerault have put in to hold the resonators, are wonky. I will have to investigate this, because I also noticed that the resonators didn’t hang straight, they were pulled in at the bottom. I suspect that this is a Bergerault design error, but it just seemed wrong to me. 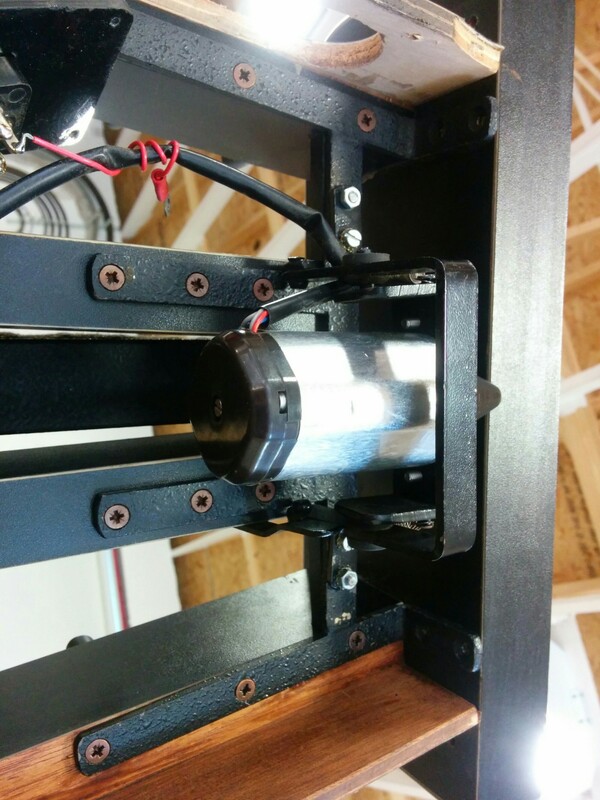 Once the legs are off, I can now remove the High End board using the motor support bracket to hold the note rails. Next the motor and control unit are removed. I will take the opportunity to improve this whole area which at the moment looks like a dogs dinner. Finally the offending rails can now be removed from the Low End Board. Classic understatement, I had to sit down and take a breather after I finally got them out! 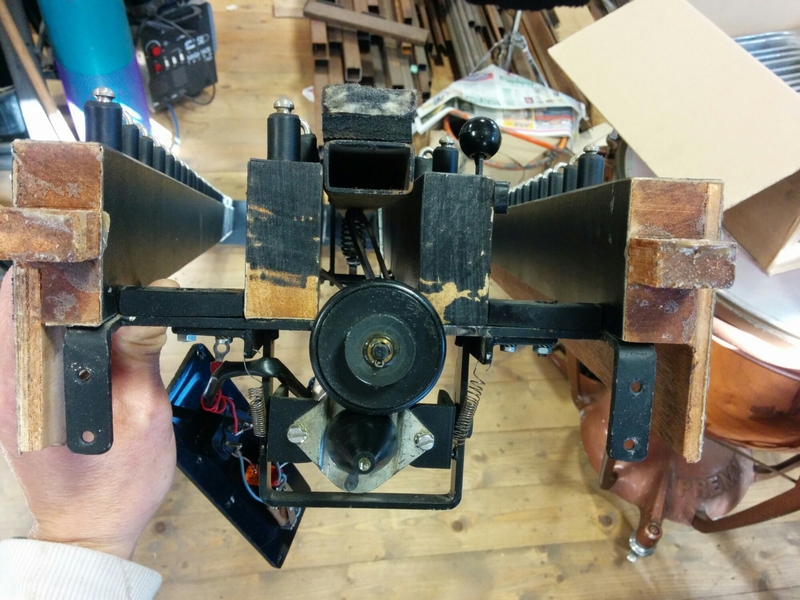 Now I am ready to make some replacement rails – time to go shopping for timber.